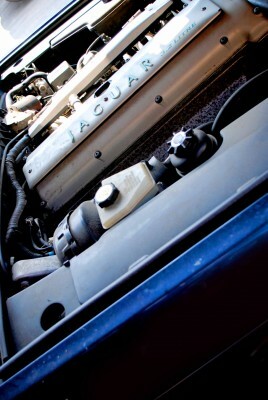 A car engine is one of the most important components of a working vehicle. Without a working engine, your vehicle is a motionless chassis. It’s important to take care of your car’s engine and ensure it is periodically serviced to maintain its safety and efficiency. Unfortunately, despite your best attempts, there are engines that stop functioning either due to malfunction or a road accident. What are the advantages of buying a second-hand car engine? You might not believe it, but second-hand car engines can sometimes be more reliable than brand new models. These are engines that have already been around the block and put in the mileage, giving you immediate reliability. Furthermore, if you purchase a used car engine from ASM Auto Recycling, you can secure a 90-day parts guarantee for immediate peace of mind. By repairing your vehicle and purchasing second-hand car engine – rather than sending it for vehicle dismantling – you are ensuring a considerable amount of junk materials do not yet enter the waste and recycling stream. A brand-new engine can be extremely expensive; often costing more than an entire second-hand vehicle. A refurbished car engine has already depreciated in price and ultimately costs less. Before you start searching for the right type of engine for your car, ensure you take note of your vehicle’s VIN details, the engine code and production date to ensure any refurbished engine is compatible with your car. Within our very own used car parts search functionality you can enter your registration number to see refurbished engines matching your vehicle. Although it is said that second-hand engines can be more dependable than brand new engines, it is still a good idea to find an engine with the lowest possible mileage. These will have minimal wear and tear and are likely to last as long as the rest of your vehicle. When it comes to buying any type of second-hand car part, you should always opt for a part with an extended warranty. The 90-day guarantee we offer on all our refurbished car parts gives our customers certainty, at least in the short term. Before you part with your money, always look into the history of the car the engine was once used in. Try to get a handle on how the previous owner used it to determine whether it has been pushed to its limits or driven responsibly within its means. With over one million refurbished car parts available for vehicles ranging from Alfa Romeos to Volvos, at ASM Auto Recycling we process over 25,000 ELVs every year. Let us help you solve your replacement engine requirements as quickly and cost-effectively as possible.